Auction is December 10th at 6:00 at St. Patrick Catholic Church in Arcola. 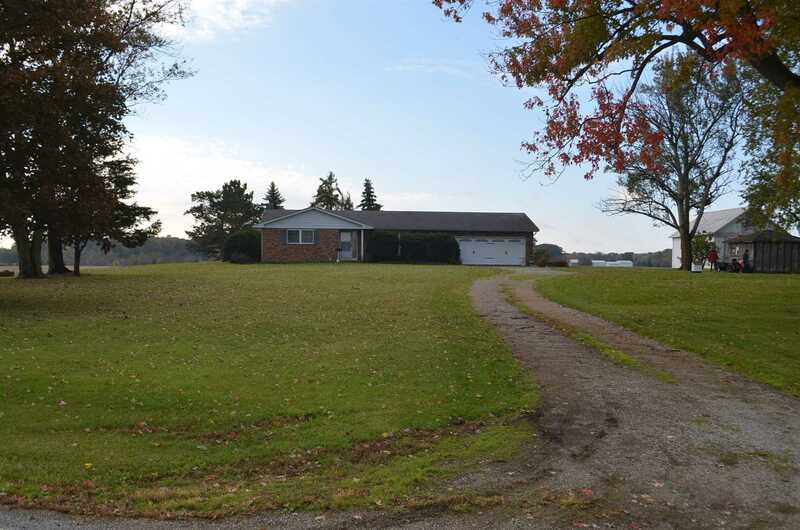 This home boasts a spectacular view overlooking hundreds of acres and surrounding farms.A well maintained 2 BR Ranch on 2 1/2 acres with a barn and many outbuildings. This home was built in 1975 it has 1 1/2 BA, 2 car attached garage, electric heat pump with CA, the kitchen has a eat in area, patio door off of the kitchen area to a nice size patio. It has a large living room with a large picture window to look out over the farmland. The outbuildings include a grainery with corn cribs, small poultry barns and garden sheds plus an open end storage barns. Fort Wayne Sewer runs along the front of the property.